Iowa State CyBIZ Lab students got the chance to recently team up with Ruster Sports as part of ExporTech, a national export assistance program through the partnership with the Center for Industrial Research & Service (CIRAS) at Iowa State. The program leads companies like Ruster Sports through a structured export strategy and development process to enter or expand in global markets. Ruster Sports is part of the startup community in Des Moines, Iowa where their small manufacturing facility has been located since November 2013. Ruster Sports’ two flagship products, the Hen House and the Dimond bike, were developed by founder and triathlete, TJ Tollakson. The Hen House is a bike case that allows athletes to avoid airline fees by meeting the dimensional requirements of standard luggage to fly with their bikes. This problem was identified by TJ himself when he would travel with his bike over 15 times per year. With the traditional bike box, it would cost him $100 each way to fly, totaling over $3000 just in bike fees alone! The Dimond superbike is a triathlon-specific design to deliver aerodynamic performance and ride efficiency that makes it the fastest triathlon bikes in the world. Don’t believe the claim? Read the data to support it! Photo taken at Ruster Sports in Des Moines. Pictured L to R: Kyle Passini, MBA and senior in industrial engineering at ISU; Luke Knott, senior in supply chain management at ISU; Ethan Davidson, COO at Ruster Sports; Reed Strauss, Account Manager at Ruster Sports. 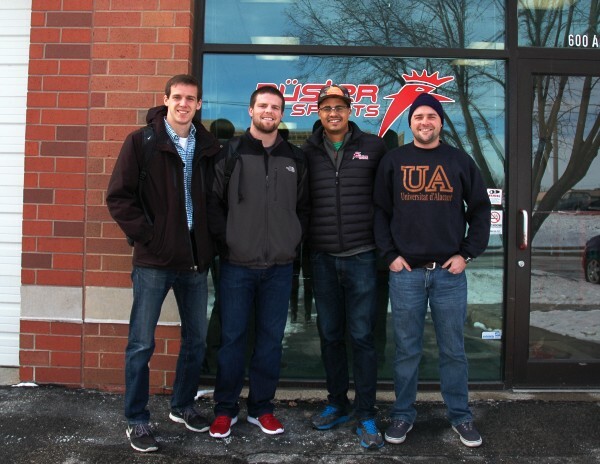 How are CyBIZ Lab students are speeding up success for Ruster Sports toward a global market? The student duo team behind the CyBIZ Lab project is Kyle Passini, MBA student and senior in industrial engineering and Luke Knott, senior in supply chain management at Iowa State. I recently got the chance to sit-down and ask questions with CyBIZ Lab team member, Luke Knott to understand more about the project. What problem are you and Kyle trying to solve for Ruster Sports? Luke: We’re working on a two-phased project. First phase, we need to understand the market indicators by talking with Ruster Sports and then putting together a market matrix that helps decide which country is best for exporting their product. What have you enjoyed most about this project? Luke: Definitely working with the down-to-earth guys over at Ruster Sports. Shout out to Ethan Davis and Reed Strauss! It’s fun to work with a product as unique as theirs and finding the right international market fit. What have you learned or found interesting working on this project? 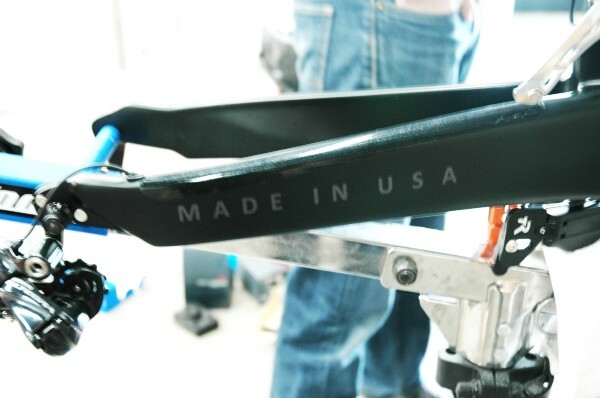 Luke: I didn’t realize how much manufacturing goes into building out a bike. Also, I never realized how Iron Man athletes are willing to do anything to improve their performance in this sport. They seek out the best high-end bikes and products. I had no idea! Quite ironic coming from a former Iowa State football player! How would you describe your overall work experience with CyBIZ Lab? Luke: It’s been great being able to help companies solve the problems they are facing. It allows me to take what I learn in the classroom and apply it to real-world business problems. I get the chance to work alongside classmates which makes for the perfect learning and work environment. The Iowa State CyBIZ Lab provides the opportunity for cross functional teams of undergraduate and graduate students to work on business and organization projects. Students gain hands-on experience working to solve real business problems, and companies and organizations receive potential solutions to business issues from a perspective outside of their company.